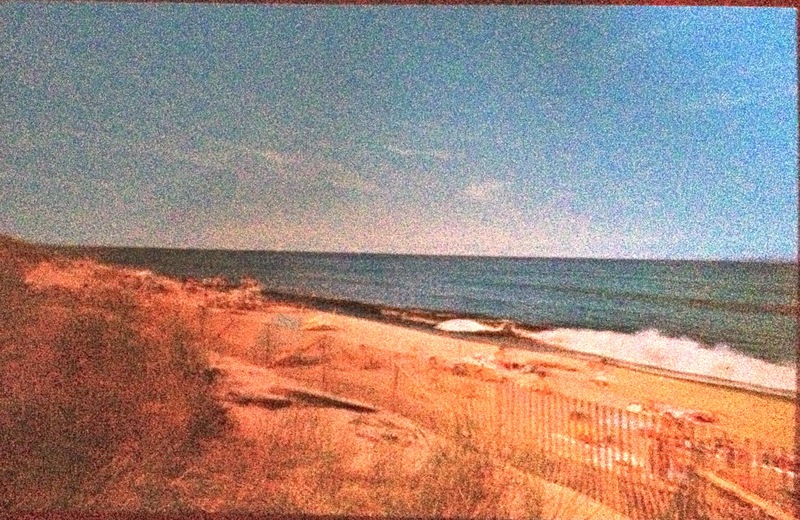 Provincetown’s National Seashore, managed by the National Park Service, includes historic Race Point beach and Race Point Light. The Race Point Lighthouse served as an important beacon to ships before the days of radar and radio. 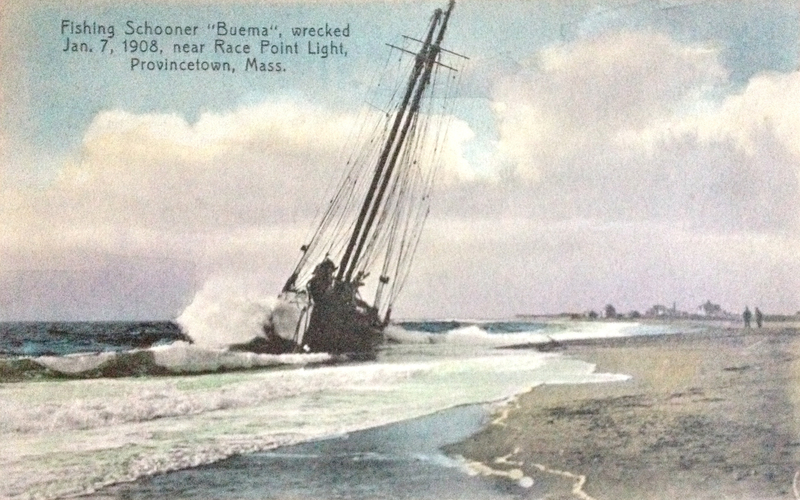 Many ships were wrecked on the sand bars off the tip of Cape Cod and a rescue station was located not far from the lighthouse. 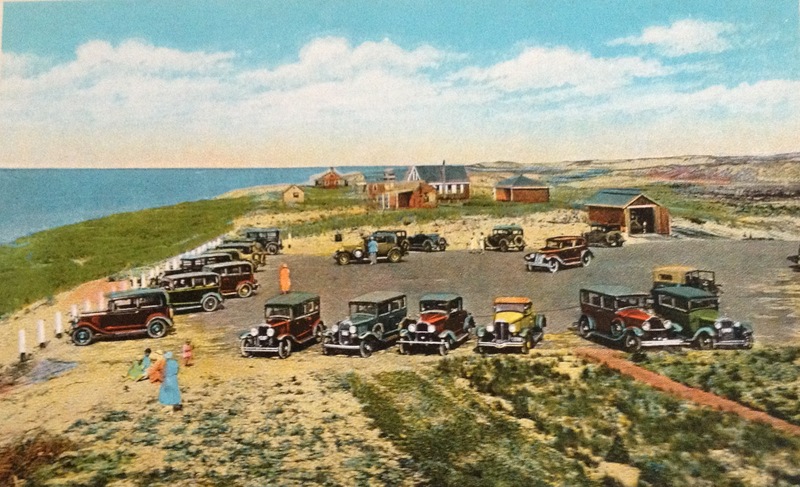 Today, if you visit Provincetown be certain to spend time at all the gorgeous beaches and visit the restored Lifesaving Museum that was moved to the site from Chatham in 1977. 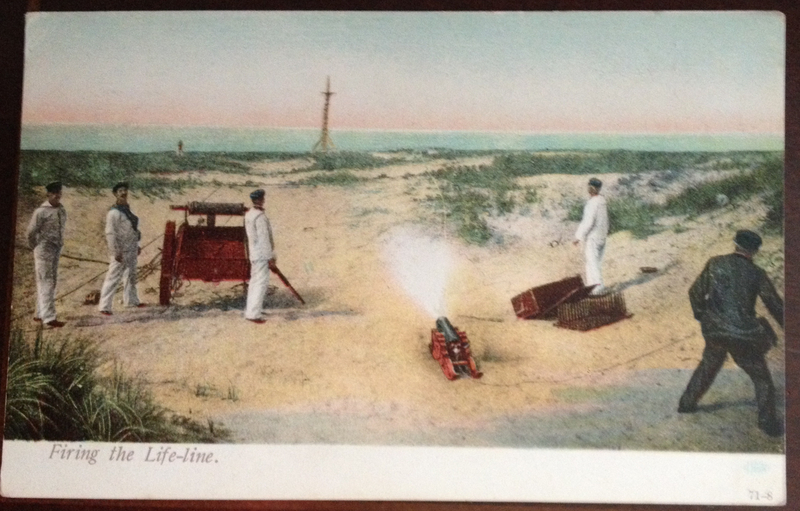 It was called the Harbor Life-Saving Station and it was built in Chatham in 1897. 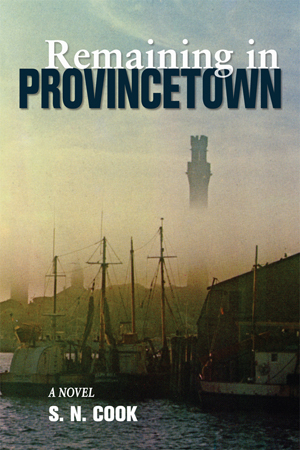 The original Provincetown station did not survive the ravages of time. On Thursday evening you can see rescue re-enactments . 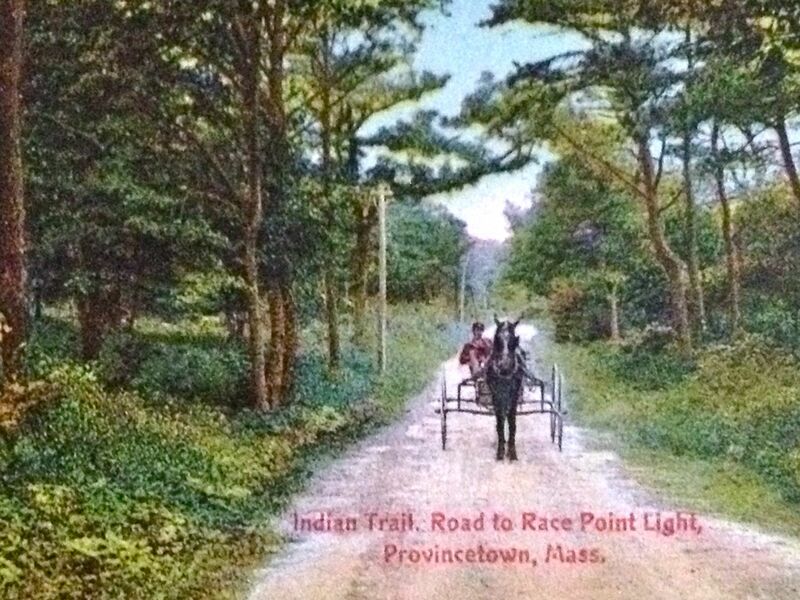 While the roads are no longer dirt roads, there are still patches of woods and overhanging trees as you follow the route from the center of Provincetown across Route 6 and towards Race Point Beach. 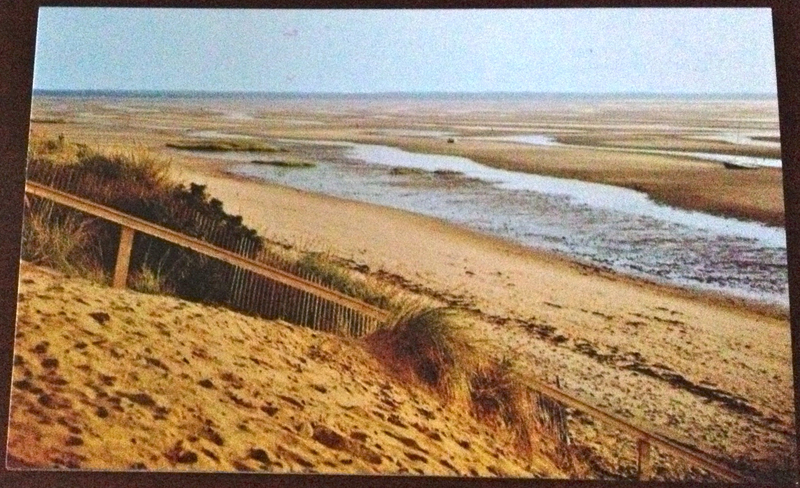 There are many trails across the sand dunes., some just meant for walking. Printed in Germany and sold during the era when it cost only a penny to mail a postcard for domestic delivery, this beautiful card appears to be made between 1880 and 1900. 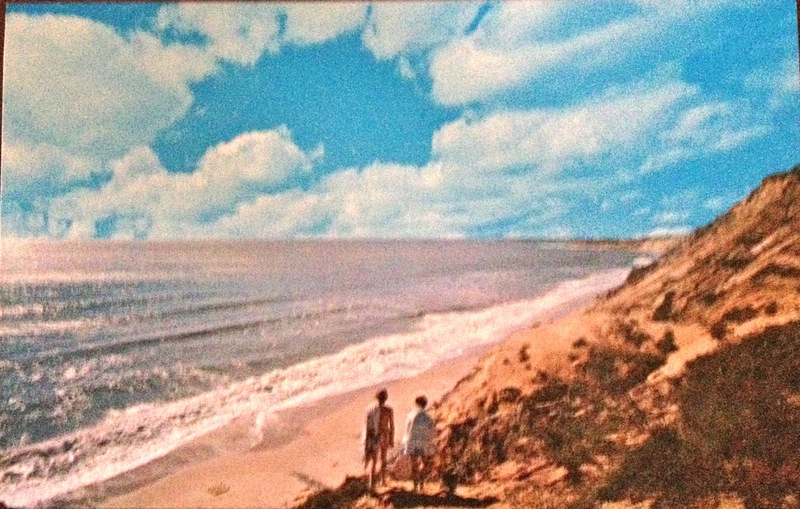 Antique postcards are important to one of the characters in the soon-to-be-released novel Remaining in Provincetown. 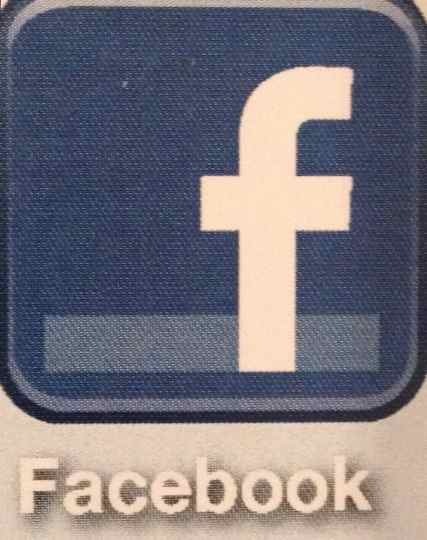 You might go so far as to say they were almost an obsession.